A Bangor Police Department cruiser. A Bangor woman was charged with child endangerment and aggravated furnishing of a scheduled drug after her 7-month-old child allegedly ingested methamphetamine and had to be taken to the hospital in December, the Bangor Police Department said Wednesday. Around 7:30 p.m. on Dec. 16, detectives responded to Northern Light Eastern Maine Medical Center after hearing that the young child had allegedly ingested the drug — often referred to by the street name “crystal meth” — and was unconscious, according to Bangor police Sgt. Wade Betters. The child regained consciousness by the time police arrived and was being treated by medical staff, Betters wrote. 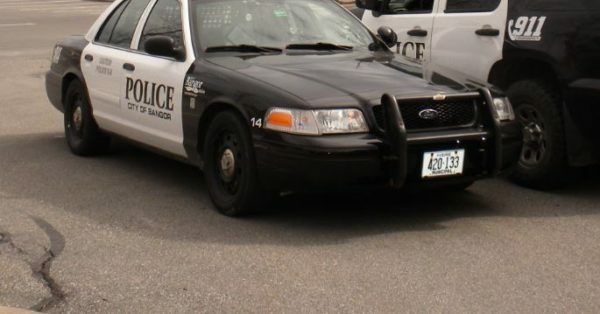 After investigating the allegation, police issued a summons to the child’s mother, Alyssa Murch, 20, of Bangor this week. They charged Murch with aggravated furnishing of a schedule W drug, a Class B felony, and endangering the welfare of a child, a Class D misdemeanor. Murch is expected to make her initial court appearance at the Penobscot Judicial Center on Feb. 20. Betters said he had no comment on the child’s medical condition and that no other information was available.